Sitting on the beach with your laptop, surfing every afternoon between conference calls – ahh, the life of a digital nomad. Are they all the time? No way! Are we sometimes overlooked as glorified backpack gypsies instead of serious entrepreneurs? Hell yes! We continue the lifestyle for a number of reasons. One, because of those days we can catch a wave between conference calls, but there are so many other reasons. Being location independent has its own series of challenges such as clashing time zones, dodgy internet connections, the ever taxing search for a quiet space to work. However, having a portable job does bring benefits, like being with a loved one who is ill because you can work from anywhere, flexing your schedule to be with a friend who arrived in town unexpectedly, or the just the ability to work in your own natural rhythm. For most of us, the benefits outweigh the burdens, others find the constant moving, the drifting friends and the lack of stable home sends them in search of a more consistent road. So how do you know which kind of digital nomad you will be? How do you decide if this is the right next step for you and your business? Is your business providing enough financial stability to support your lifestyle? How will you handle revenue and how will you manage your finances from a remote location? Do you have a tax plan for whichever countries in which you may stay? The first two go hand-in-hand, if you are someone who is easily distracted or lacks self-motivation or self-discipline, you may find the challenges of an ever-changing location provides too much stimulation or opportunity for you to ignore. I have seen more than one entrepreneur fall to the call of the ocean, or a fun time that they just can’t say no to. Being a digital nomad is not for the faint of heart, it takes focus and discipline to get work done when it needs to be done even when there are so many other things you would rather be doing. Financial stability prior to going out on the road is another overlooked item for some beginning entrepreneurs. Even the most inexpensive locations still cost money, and transportation is always a factor. Many inexperienced entrepreneurs can over-estimate the amount of income that they can bring in and under-estimate what they will need. Keep in mind as well that if you are moving money between countries there may be costs and wait times associated with this. It is always best to have a substantial savings in the event you get sick overseas or something else happens, or best case, you fall in love with a country and want to apply for residency! The financial transaction issue is an individual one. Do yourself a favor and make sure your payment system will function in the countries you are choosing if traveling outside your home country. As for taxes, that is something you should seek advise before picking up stakes. It may not be an issue at all, or there could be some tax consequences or benefits that you will wish you knew ahead of time. Check with a professional for your own good. Finally, make sure you have a support circle. Life on the road is different. Yes there are co-working communities and you will make friends and begin to feel like a UN member, but friendships take time. You will meet people for a week or month and it will not replace the deep meaningful connections you have that take years to build. That said, if you stay in the digital nomad community long enough, you will find some of the most open, caring and supportive people who understand you in a way many others can’t. Again, these friendships take time however, you are likely to see them along your journey again. To DN or not DN, that is only a question that you can answer for yourself, but now you have a few additional things to consider in the process. Elizabeth has been working with beginning entrepreneurs for many years as they move from their corporate jobs to create a business that has meaning for them. 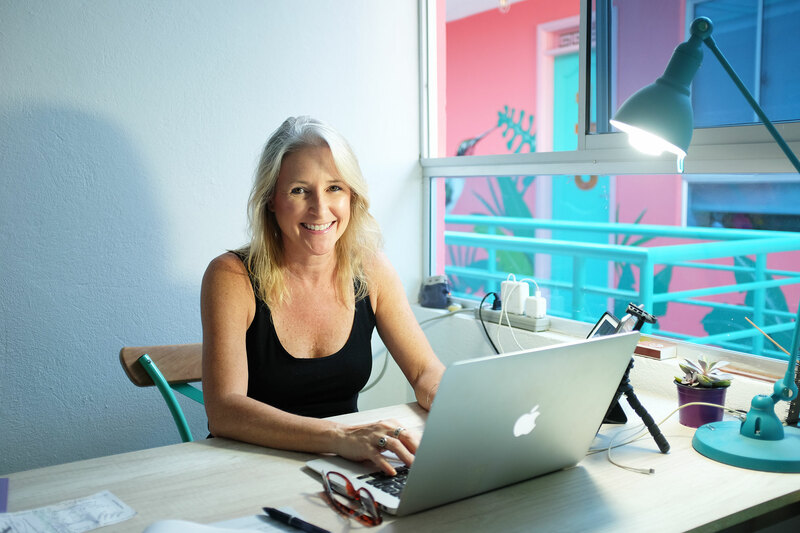 A location independent businesswoman herself for many years, she is familiar with the road of the digital nomad and assists those ready to take the leap or who are early on their journey. Where to see pink flamingos in Colombia? Plug into the new Tropical Hub. Flamingo Coworking © 2018. All rights reserved.